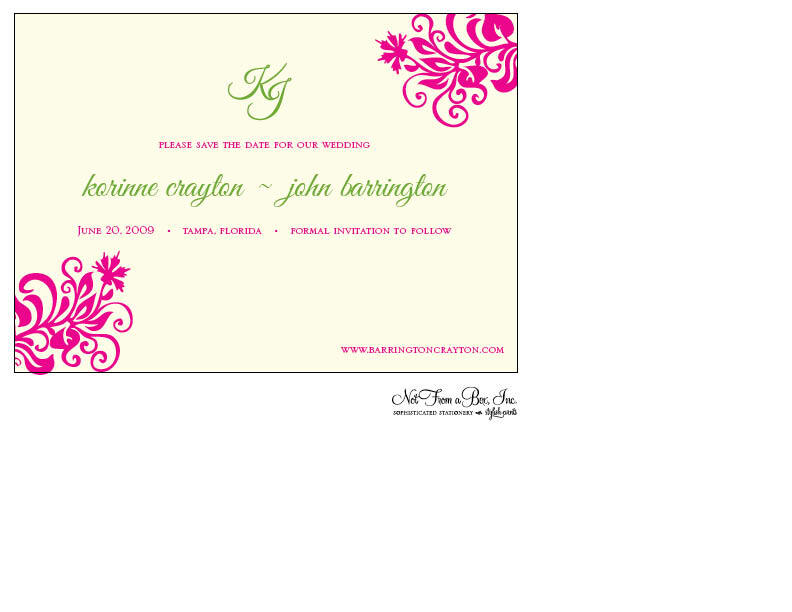 Can anyone tell I’m trying to keep up with my blog more this year?? 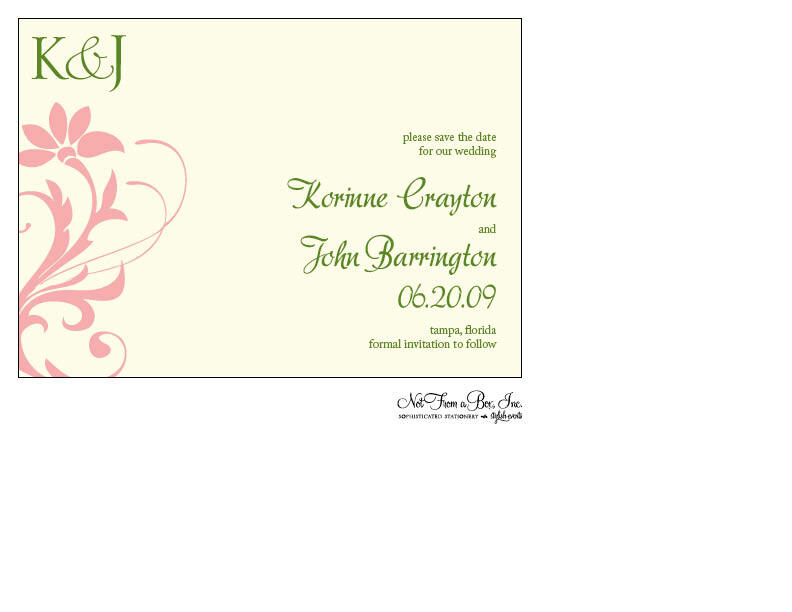 Here are some recent save-the-date designs for a summer wedding. Names have been changed for privacy. 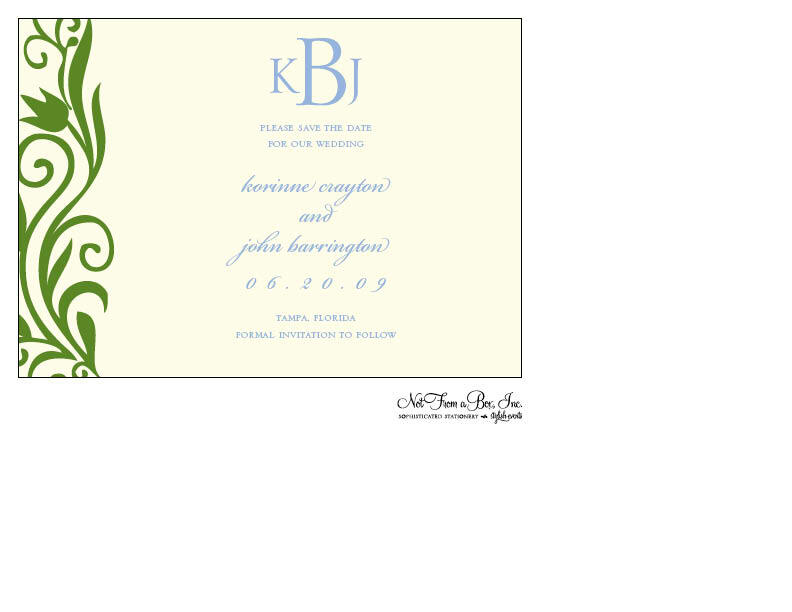 The client was trying to decide on a color combination so these mockups were helpful. 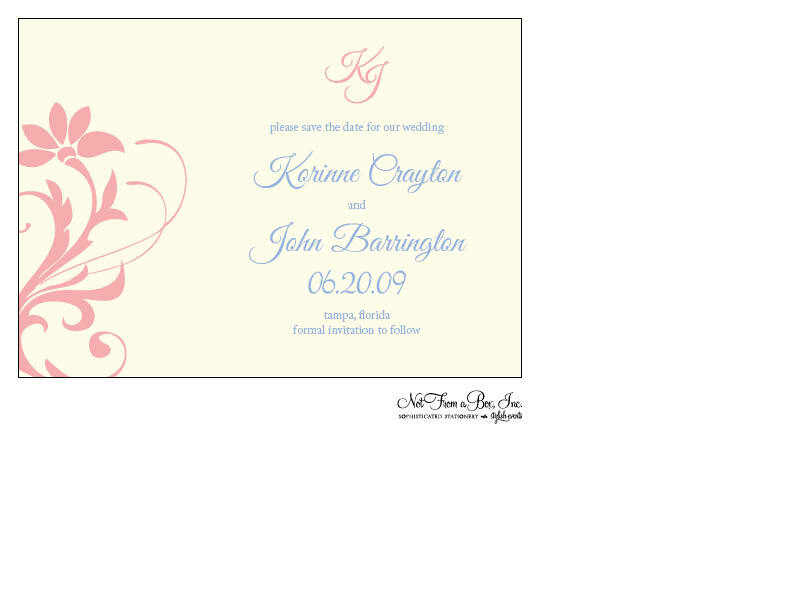 The client chose the very last picture. 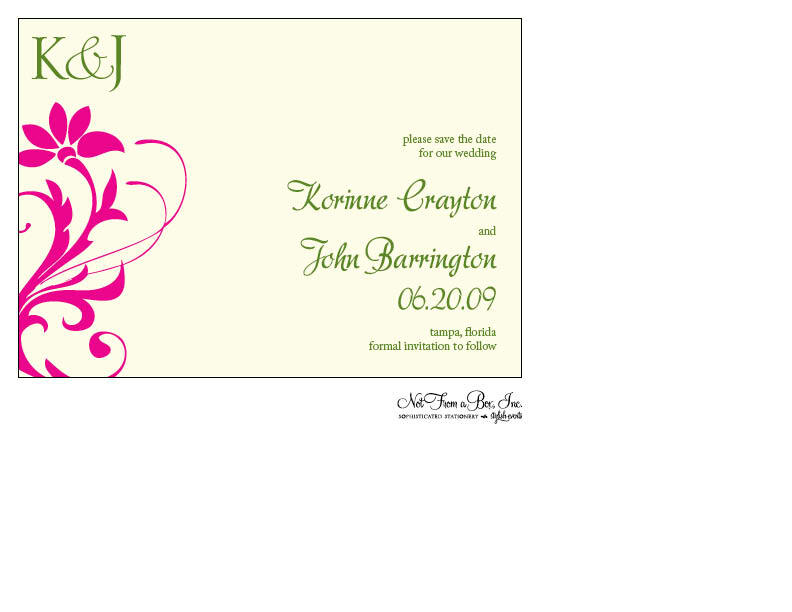 This is a 5×7 Single Panel invitation, 2-ink colors on ivory cardstock. As shown, it retails for a very reasonable $1.85/ea! This design would be absolutely gorgeous in letterpress, too. 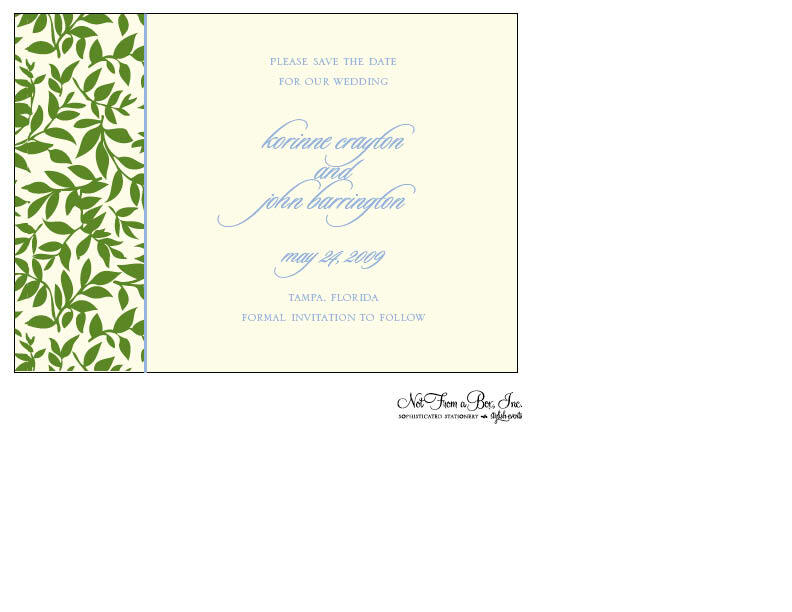 This entry was posted on January 9, 2009 at 5:09 pm and is filed under Wedding Invitation Design Ideas. You can follow any responses to this entry through the RSS 2.0 feed. You can leave a response, or trackback from your own site.